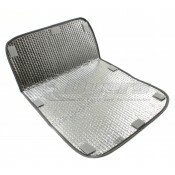 Sun protection is always an issue on the road. 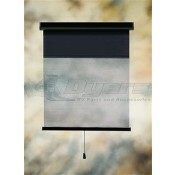 We have a variety of products to help keep the sun out when you are indoors. 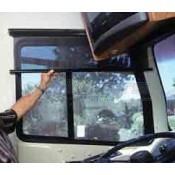 Sun visors allow you to completely customize the amount of natural light that you experience in the interior of your RV. 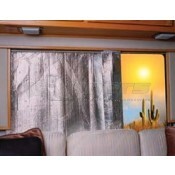 We offer reflective covers in order to control the amount of light and temperature that enters you RV from the sun. 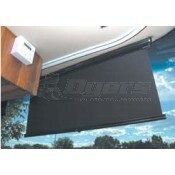 If you are simply looking for shade there are various sizes of visors that fit on both the front and side of your RV to allow you to maintain a view without the abrasive sunlight which sometimes accompanies it. Choosing the right sun visors and protection can help you and your guests travel in comfort through areas which are very warm and receive a lot of sunlight. 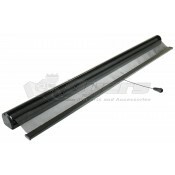 Shop our wide assortment of sun visors at Dyersonline.com.